The second book in this much-loved series is now available! Duets use a little second and third position, in addition to first and fourth positions, and are slightly more complex. Lots of shifting in these duets. The music spans a larger time period that some other books, with duets from the 11th and 12th centuries! look inside Easy Violoncello Duets Vol. 2 Edited by Rentmeister. Collection. Heinrichshofen Verlag #N4102. Published by Heinrichshofen Verlag (PE.N4102). Easy and fun; these duets can bring some light-hearted moments to the lesson. look inside Technitunes Pupil's Book. Composed by Sheila Nelson. Boosey & Hawkes Chamber Music. 12 pages. Published by Boosey & Hawkes (HS.48010235). Not as easy as they look; these duets have more complicated combinations of shifting, rhythm, and bowings than other duets, maybe because it's Bach! Slightly dry material but still helpful; most successful with older students. Tons of material in this book, including duets and little etudes. Never run out of music in a lesson again! Yes, Hindemith wrote easy duets! Great for the intermediate student who is interested in 20th century music. 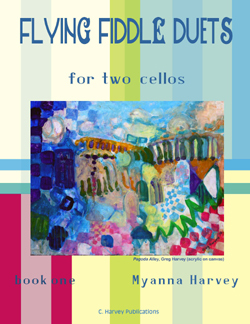 Violoncello Duos for Beginners, Volume 2, might have needed a different title; this book incorporates quite a bit of shifting and is suitable for intermediate cello students as opposed to beginners. There is a tremendous amount of material here, including a Bach Invention and a very beautiful Mozart Divertimento. 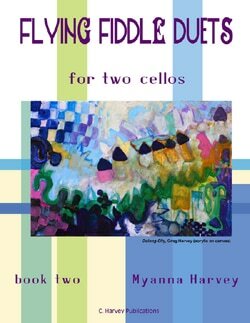 Although there is a Haydn Andante that uses tenor clef, and a very short section of Kummer that has thumb position, the rest of this book is suitable for early-intermediate cello students. look inside Violoncello Duos for Beginners - Volume 2 Composed by Various. Arranged by Arpad Pejtsik. 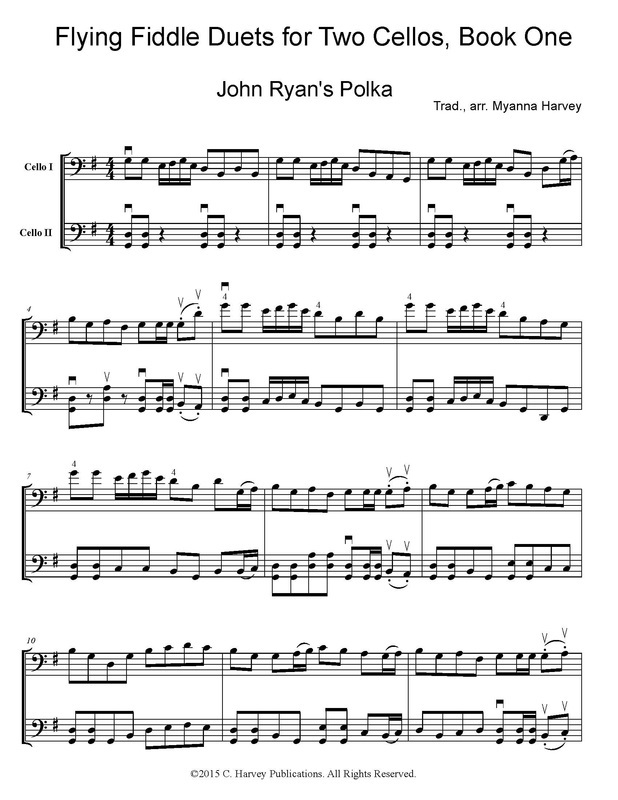 For Cello Duet. EMB. 68 pages. Editio Musica Budapest #Z14201. Published by Editio Musica Budapest (HL.50485093). I especially love the Kummer, Dotzauer, and Hook Duets, and my students do, too! Unfortunately, International has republished the Kummer Six Duets Op. 156 with smaller notes and the new font size makes it far less enjoyable to read. I suggest using the Hook Duets as an alternative. Hook: Easy to read, fun to play! look inside 6 Easy Duets, Op. 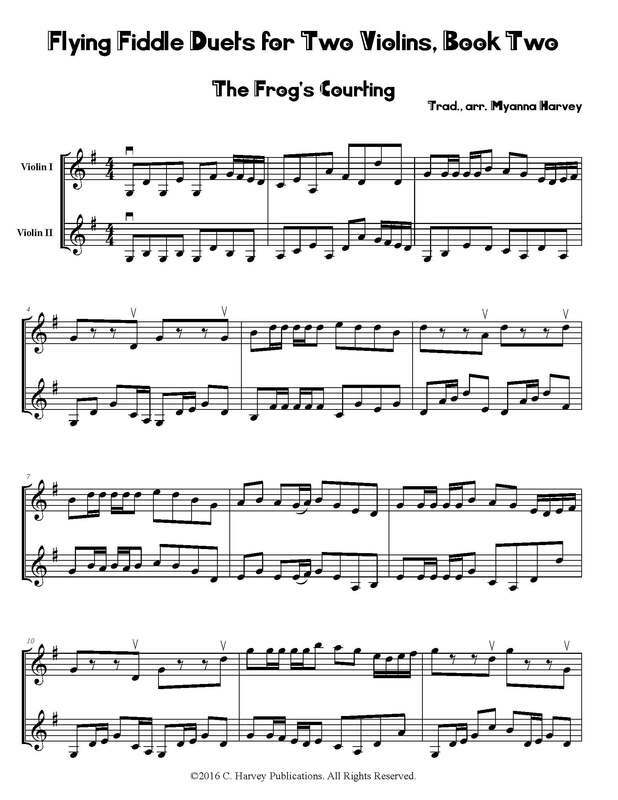 58 Composed by James Hook (1746-1827). For Cello Duet. Schott. Playing score. 35 pages. Schott Music #ED7945. Published by Schott Music (HL.49007662). look inside Six Duets, Opus 156 - Volume I Composed by Friedrich August Kummer (1797-1879). Edited by Jeffrey Solow. For 2 cellos. Published by International Music Company (IM.3655). 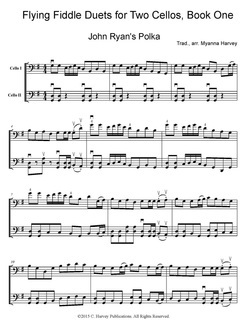 These Rococo Sonatas are perfect for early-intermediate cello students. The book contains duets by Boismortier, Corette, and Dupuits, all using easy shifting through the first four positions. look inside Three Duets, Opus 36 Composed by Sebastian Lee (1805-1887). Published by International Music Company (IM.1762). look inside Le Phenix Composed by Michel Corrette (1707-1795). Edited by Werner Thomas-Mifune. Sheet Music. Published by Edition Kunzelmann (PE.GM1286).